While my parents appreciated the solitude, the space for a garden and the privacy that growing up on 10-acres in the country created, it also offered several advantages for my brothers and me. As kids, we had room to run, play and raise our voices without disturbing any neighbors. Dirt bikes were more common than bicycles because few roads near us were paved. Outdoor games like volleyball and badminton were common for family parties while croquet was one of my everyday favorites. We also had lawn darts before anyone decided they were dangerous. The girls are at an age that they can play outside without adult supervision. We encourage them to interact with neighbor kids of all ages and just be outside. Aside from the social benefits, it’s a subtle way to be active. Whether they are at one of the neighbor’s houses shooting baskets or jumping on the trampoline or at our house doing cartwheels, playing tag or riding their bikes, it’s all good, clean fun. 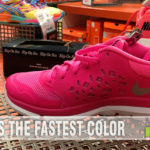 We’ve recommended they put on a pair of running shoes and simply be active. If you have ever seen street artists, you know there is no age limit on coloring on the pavement. As we mentioned a few weeks ago, you can mix things up a bit (literally) and turn sidewalk chalk into paint. Not only do my girls enjoy creating artwork on the sidewalk but I even park myself on the driveway and create my own pictures every once in a while. We’ve also been known to make it a family project and create large decorations on the street. Shhhh… Don’t tell on us. We always watch for traffic! A speed rope is a great source of exercise individually for any age while a regular jump rope is great for quality time with friends. As my daughters get more involved with sports, they understand the cardio benefits of such a simple toy. And who doesn’t love to jump into the middle of a spinning rope? If you have a couple on hand, your kids and the neighbors might even be inspired to try Double Dutch! If you have a yard of any size, you can make this work. The nature of the games of Croquet and Bocce ball allow the users to change it up every time. Inclines, declines, obstacles… It all works and provides for a different experience each time it is set up. Miniature golf is another option to utilize the natural landscape of your yard. 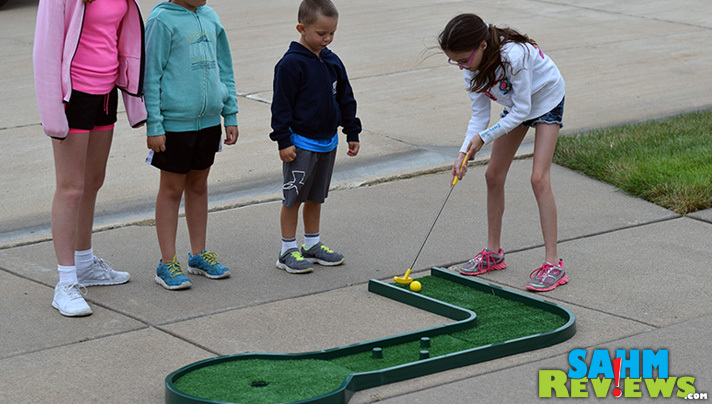 You can create your own course and adjust the complexity or purchase a miniature golf set for the younger kids. It only takes a little while to set up the net, but both volleyball and badminton offer some nice variety. 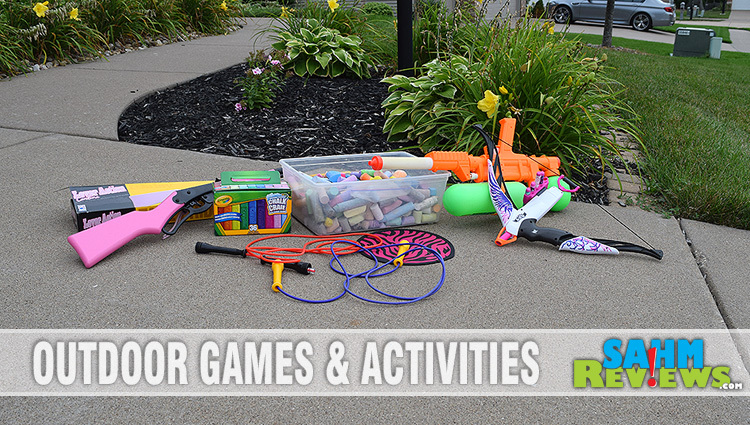 Challenge the neighbor family to a game where kids and adults can play together. When I was a kid, we would regularly play volleyball at family gatherings. We kept the teams even and everyone played. Height was never an excuse to bail out! 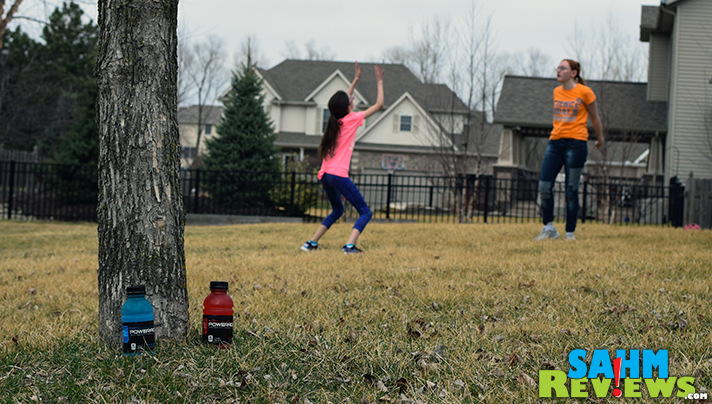 If you don’t have time to set up the net, encourage the kids to get outside and volley without the net. There’s also the option to forgo the net completely and improvise. A modern version of horseshoes, Ladder Ball is easy and quick to assemble and disassemble. It takes up minimal amount of space to use and even less to store. It’s also great for all ages. This is one of the games we regularly set up in the front yard and the neighbor kids come over and play. Some of the younger kids actually do better than the older ones because they focus more… Being low to the ground doesn’t hurt, either. Hey! Don’t shoot the messenger! Yes, I know guns aren’t for everyone, but that doesn’t mean it should be completely overlooked. I don’t encourage this as a free for all but shooting a BB gun is ideal for some parent child bonding. Safety is key if you’re adding this to your activity list. Our tween daughter thought using a pink BB gun was totally cool so apparently even fashion comes into play in THAT discussion. This is another example of a way to start conversations about difficult subjects. 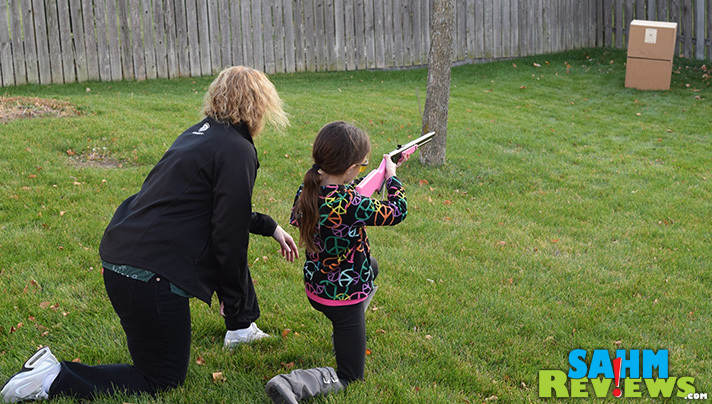 While older kids may prefer a good battle with paintball guns, kids can have a shoot-out or practice their aim with Nerf’s wide variety of guns and bows. Load up on ammo and have at it. For warmer days, squirt guns are a perfect alternative. Seriously… These simple aerodynamic disks are fun for all ages. Don’t have room in your backyard? A series of front yards works. We even use the neighborhood street and have some great family bonding time. We’ve also noticed that many city parks have implemented Frisbee Golf courses so check with parks and recreation departments near you. There’s nothing in the rule books that says kids have to play board games inside. If you have access to a swimming pool, equip your kids with pool-friendly games! If the goals is to encourage kids to get off electronics and get outside, you can always set up some games on an outdoor table or on a tarp. Let them play some trick-taking card games with a windproof card set, dice games or even dexterity games. While it isn’t the same as being physically active, at least they outdoors! Create opportunities for your kids to get out and enjoy the fresh air and while you are at it, join them. That mini golf course game looks like a ton of fun! 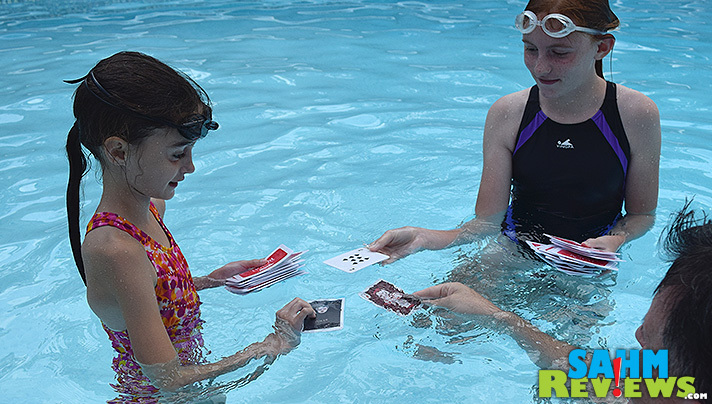 Those pool cards could be fun for adults too. My friends would love to play with those this summer. Looks like a lot of fun ideas to try out! Country kids are the best. Unplug for a bit and enjoy nature! As an elementary school teacher, iyts always nice to have activities to do outside! Thanks. Horshoes can be fun too, but the above list is really great! that miniature golf looks amazing! i need that! Hard to get enough people over for a good NERF fight. dodgeball with nerf bow an arrow!! We love molkky for outdoors! 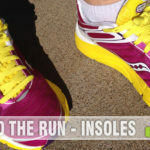 Most children need to be active, and this giveaway would be a great help to the winner! Sometimes the simplest and least expensive toy is the most appreciated and longest lasting. The Frisbee fits the bill for me as a child, my daughter, and now my grandson. Hundreds of hours of fun and good exercise. I have noticed that you added ladder ball in outdoor games. You could be added paintball games. You know paintball game is one the coolest outdoor fun sports. As a paintball lover, I like spread it to all ages of people. Btw, thanks for sharing your top 10 outdoor games. I would like to suggest some more games like Disc Golf and ultimate frisbee. We can play these games with our kids and friends as well. I like how you say that when you play bocce ball, users can change it up every time! IT sounds like such a fun game for younger kids because of its simple yet challenging nature! My husband and I are going on a camping trip with our kids in a few weeks. We’ll have to look for a bocce ball set and stand up bocce ball tool to use to facilitate our game play, and enjoy the time playing with our kids! All these games are very interesting but now a days kids are more busy with video games rather than these fun games. I love to play badminton! Great ideas to get the sprat of the game console, computer and tablet!!!! Thank you!!!! I use to love sidewalk chalk! Miniature golf, bike riding, and bean toss are some of our favorites. These look like a lot of fun ideas. 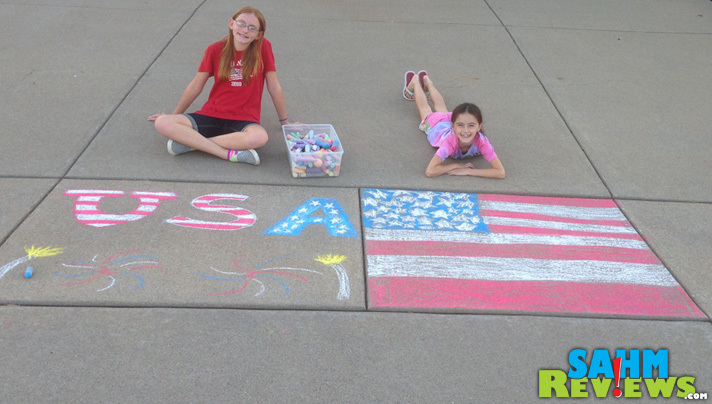 When my girls were little, they loved sidewalk chalk!